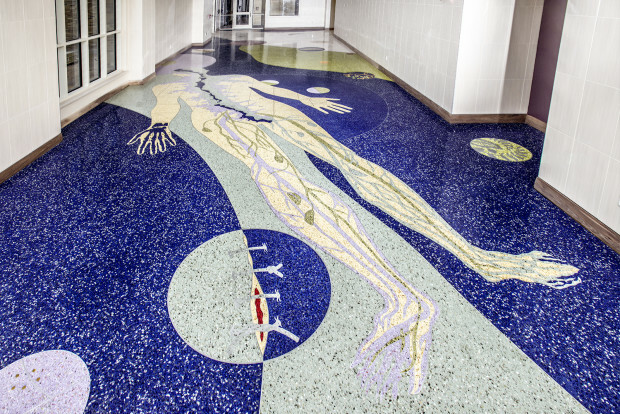 Epoxy terrazzo with brass, zinc, and aluminum imbeds; approximately 3,000 sf; “Body Geography” refers to flora and fauna found in the region, as well as the nearby geographical terrain of Palo Duro Canyon — which has been reimagined as a surgical cut through the human torso. 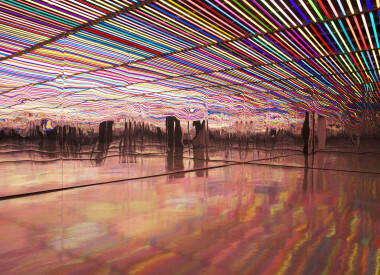 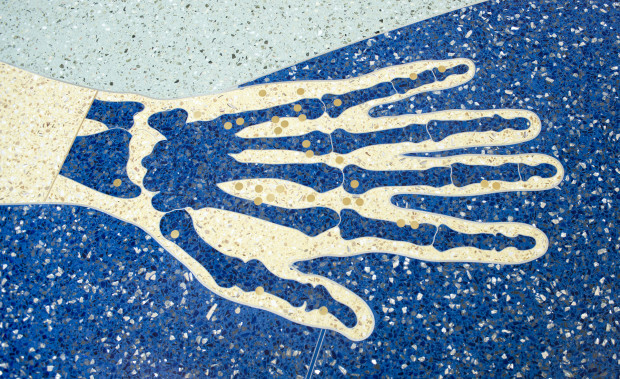 Shifts in scale and reference carry over into all the elements of the design in order to make formal and metaphorical connections between the structures of our bodies, the cells of plants and animals, the larger natural world, and the celestial sky above. 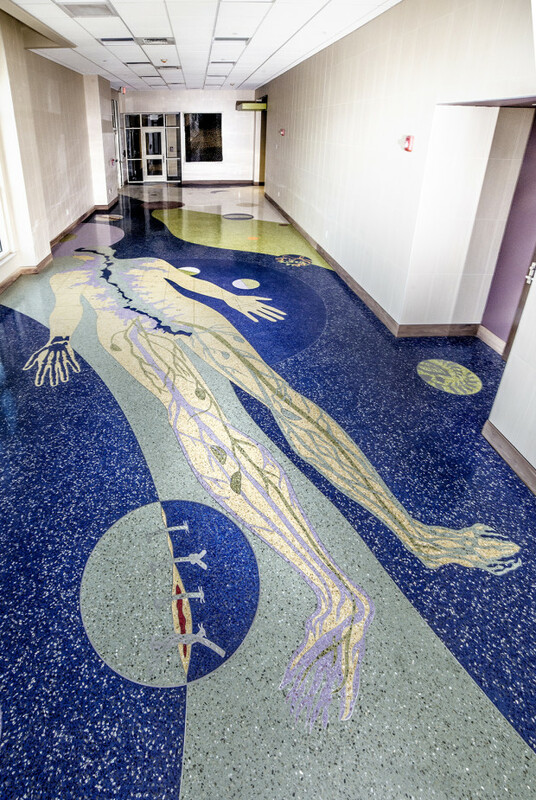 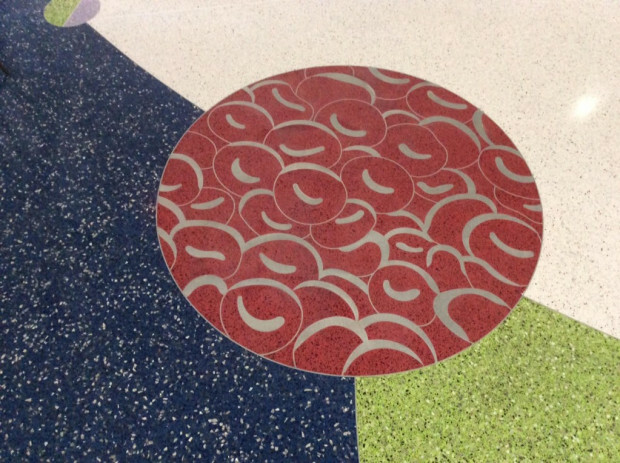 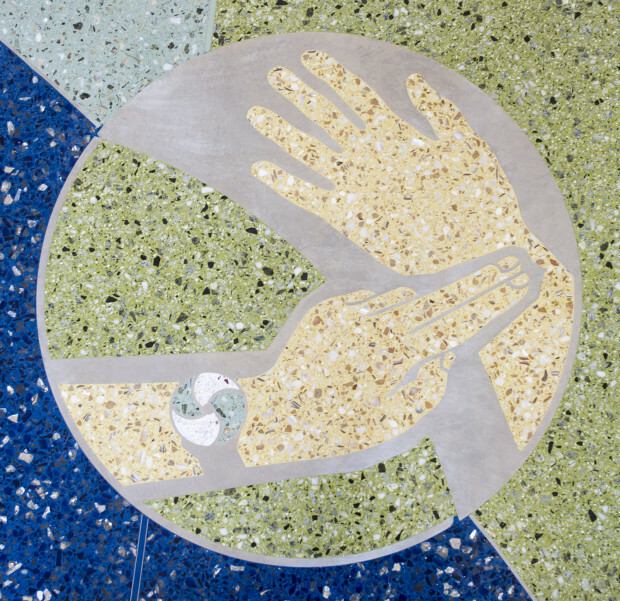 The mission of the Panhandle Clinical Simulation Center is directly linked to the human body and its physiology — therefore, the human body became the anchor point for the conceptual development of the terrazzo installation. 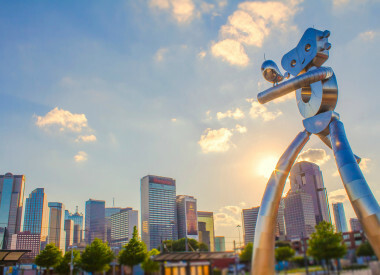 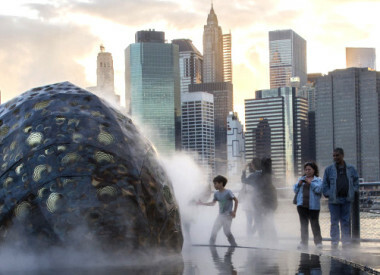 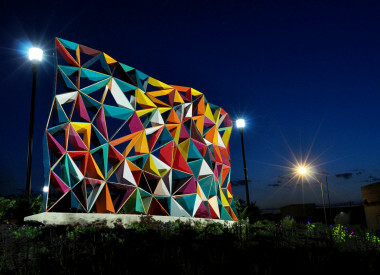 We bring over 35 years of experience in public art place-making to this process of defining the vision of the community. 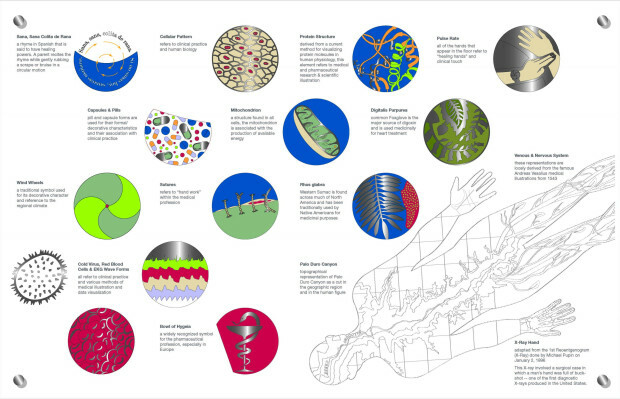 Our projects begin with listening and observing, with the goal of developing a visual language that talks about a particular community. 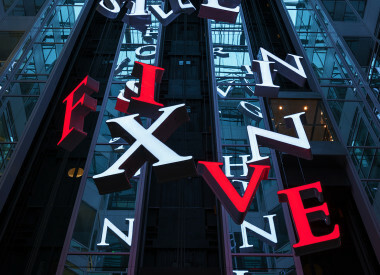 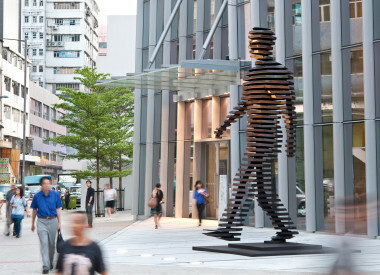 As artists working in the public realm, we strive to engage specific ideas of history, culture, and community and translate these ideas into an accessible visual narrative.